Get 3GB of data for only Php 100 with Smart LTE Prime. 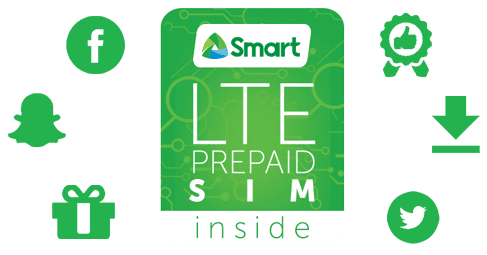 Smart rolls our the LTE Prime prepaid promo which gives 1.5GB of data for Php 50 pesos. This means that you can surf and watch videos more than the usual fifty-peso promos. Likewise, you can also enjoy 3GB of data for Php 100 only. All you need to do is key-in either LTE50 or LTE100 and send it to 9999. What's the catch? We since Smart is giving you bulkier data, the validity is only 1 day. This means that if you are a moderate user, this one is not for you. All data-hungry prepaid subscribers will enjoy this though. GIGASURF promos are still intact. So if you are running multiple days for your 1GB worth of data, better stick to the GIGASURF promo.